Habibi coin (HBB) is a real estate backed token with a social philanthropic model being launched as a community solution to help its community remove interest bearing debt in home financing while building profit through real estate portfolio with government backed projects, large scale real estate developers, and Construction business under the umbrella of HBB ContractingLLC. The global real estate market is worth over 217 trillion dollars. More millionaires have been made through real estate than any other industry in the world. It is one of the oldest and securest asset classes generally stable against economic cycles and a trusted source to invest and park capital across the Muslim diaspora. Real estate is historically one of the most conservative and reliable sources to save and multiply capital, but with multiple barriers to entry for the common man. Since the entrance to this market is expensive, the average individual has to have a medium to high income, high credit scores, and a sizeable down payment to even be considered by lenders to purchase a property. 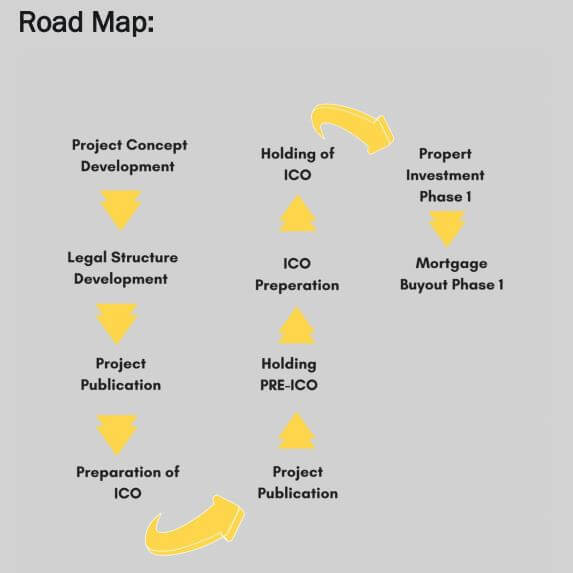 Successful implementation of real estate projects in this field requires a high level of competence, experience, in-depth knowledge of law, finance, and construction technologies, not to mention the substantial initial capital for arrangement of all processes and implementation of the transaction for purchase and sale. 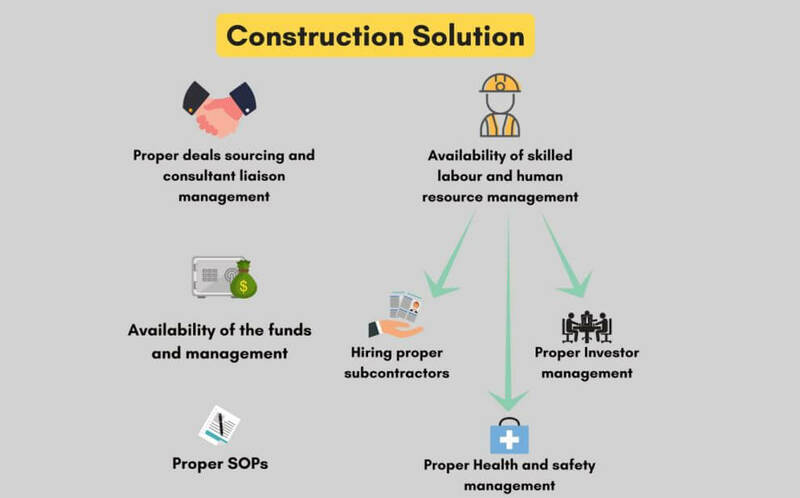 This makes it difficult for any individual without capital and experience to acquire and develop real estate assets and complete development projects. 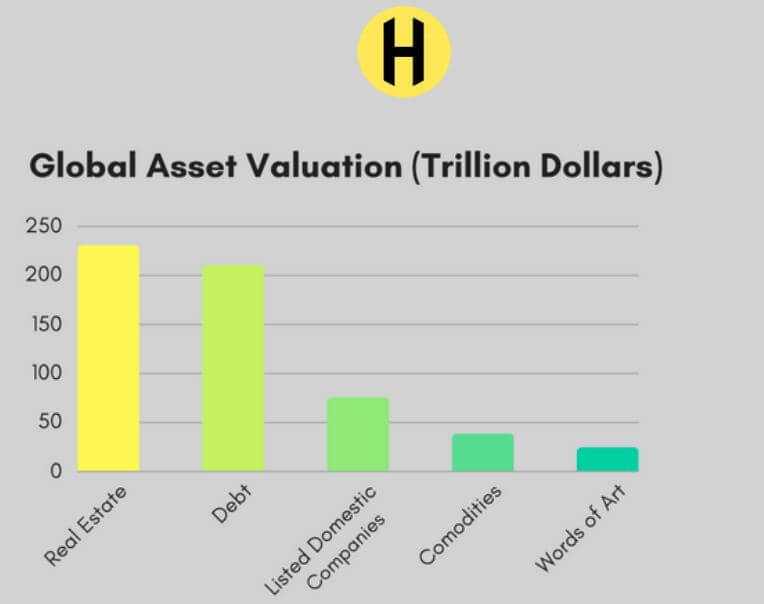 It leaves billions of people out of the opportunity and gives more weight for the rich and wealthy to concentrate holdings into bigger portfolios. If there was a solution that met the needs of the common man and provided a platform to give equal opportunity, the real estate industry could be transformed and billions of people could participate, bringing down some of the barriers to entry. Blockchain is the underlying technology behind cryptocurrencies like Bitcoin. Unlike physical currency, digital cash and cryptocurrencies solves a very real problem called Double-Spending. The simplest way to think of Blockchain is as a large distributed capital of sorts that stores records of transactions. A distributed file system where participants keep copies of the file and agree on changes by consensus. The file is composed of blocks, where each block includes a cryptographic signature of the previous block, creating an immutable record. Distributed ledger technology is more of a foundational technology—with the potential to create new foundations for global, economic, and social systems. Blockchain can be used for a wide variety of applications, such as tracking ownership or the provenance of documents, digital assets, physical assets, or voting rights. Using the open source technology, one could create their own cryptocurrency to serve a specific purpose and propose new solutions to various problems across multiple different industries and to address specific community needs. During the PRE-ICO and ICO phase, Habibi Coin tokens are purchased through the transfer of BTC, ETH and BCH. Once the transfer is complete, verified, and recorded internally on our books, then a smart contract is created for the token distribution. Upon completion of the ICO, the smart contract automatically executes the transfer of Habibi Coin tokens directly into the wallet ID’s provided by the buyers. *The price of BTC, ETH and BCH will be calculated at the time of PRE-ICO and ICO according to the market rates of that time. The first part is sourcing deal flow which will come from a network of relationships with agents, community members, developers, contractors, governments, brokerages, and financiers. Then the deal flow is analyzed, pouring over the financial and legal documents and profitability, duration, and risks. The best deals are short listed for management and advisory board approval. The management and advisory board then votes on the deal flow and any property deal surpassing 50% of the overall vote gets short listed for action. Digital currency is converted into fiat currency for the exact sum needed to purchase out the property. Using local/regional corporate setup and bank accounts, the funds are deposited into the bank and transferred to purchase the property. A full budget analysis of the project is done and the project is subcontracted out to contractors to develop. Digital currency is transferred to fiat currency as bills and work is approved so the funds are released in phases to pay the contractor. Each phase is inspected to satisfactory guidelines and the next phase of work begins with the next phase of payment. – The strategy is to source deal flow in stable and developing markets around the world. We analyze the deal flow and then through a voting process, initiate the projects that are approved. – We will be signing MOUs and agreements with government backed projects and large real estate developers to provide the highest possible returns and have the security of the government backed developments. – We focus on new towers/developments where floors/units can be purchased in advance of public sales, generating instant returns in 12-24 month periods and then sold after a new appraisal is done for an appreciated return. – We focus on cash flowing property residential/commercial that can generate higher cash flow yields. – We focus on distressed projects and below market value properties that can be bailed out refurbished and then resold or cash flowed. – We focus on properties that can be converted to new-use scenarios like assisted living facilities, short term renting like Air BNB, and student housing, generating higher monthly returns. – Key Market Regions where the developments and projects will be initiated is North America, Europe, Middle East and Asia. For the time being, we will be avoiding Africa and Latin/South America. – Through our sourcing networks, we source applications for mortgage buyouts. This is done through a combination of online and offline in engaging communities, mosques, and organizations inside the Muslim world. With a grassroots model to source, we are confident the applications will come in by the hundreds of thousands to the millions. – We analyze the applications that meet our criteria and prioritize based on two factors: how high the score is towards our criteria and on urgency. – The short-listed applicants are then put into a review process. If all metrics are met, the applicant and their case is presented to the top management, mortgage experts, and advisory board and a vote is done to approve or disapprove the project. The ultimate veto power to give final approval is reserved for the top management. The advisory board and mortgage board act as council to assess risks, compliance, and Shariah guidelines. – Once the buyout is approved, Habibi Coin buys out the lender, restructures the repayment, and manages the relationship, communication, and repayments until the loan is paid back in full. – Subsidiary companies: Regional vehicles across the world to execute the purchases, projects and lending in each respective jurisdiction. Property Investment Phase 1 begins. Mortgages buyout phase 1 begins.